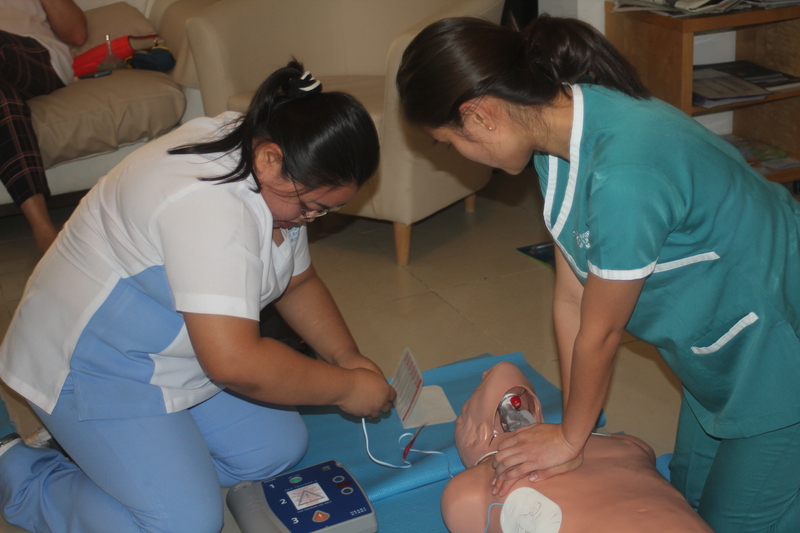 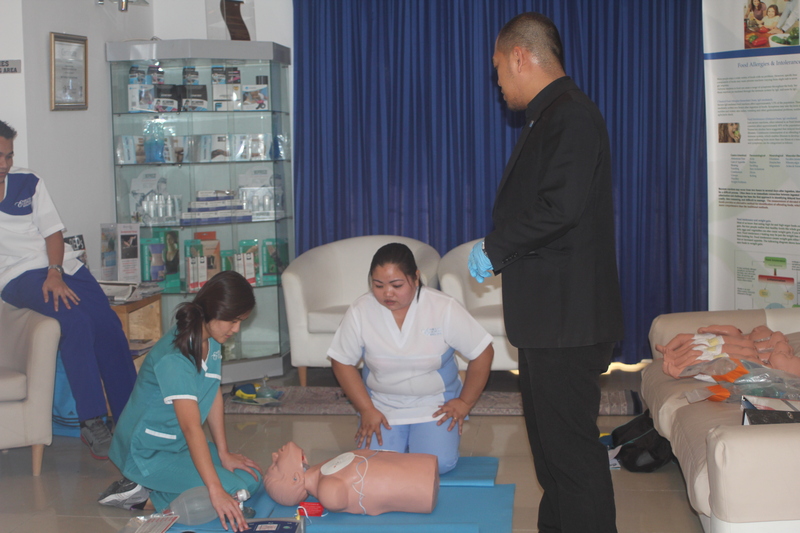 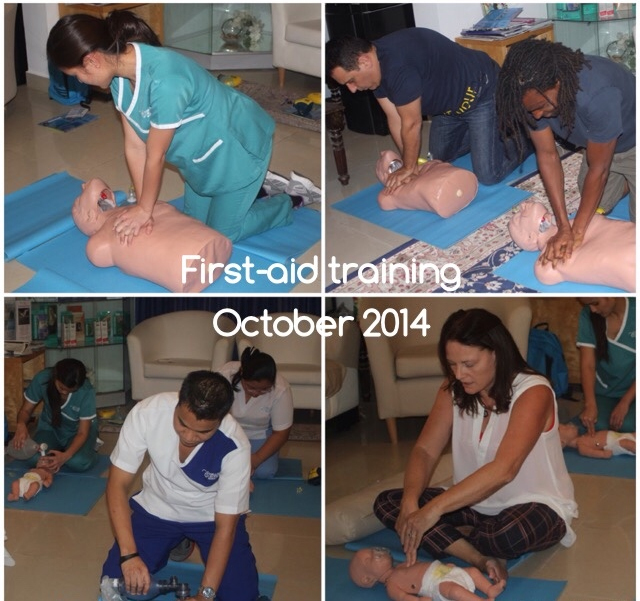 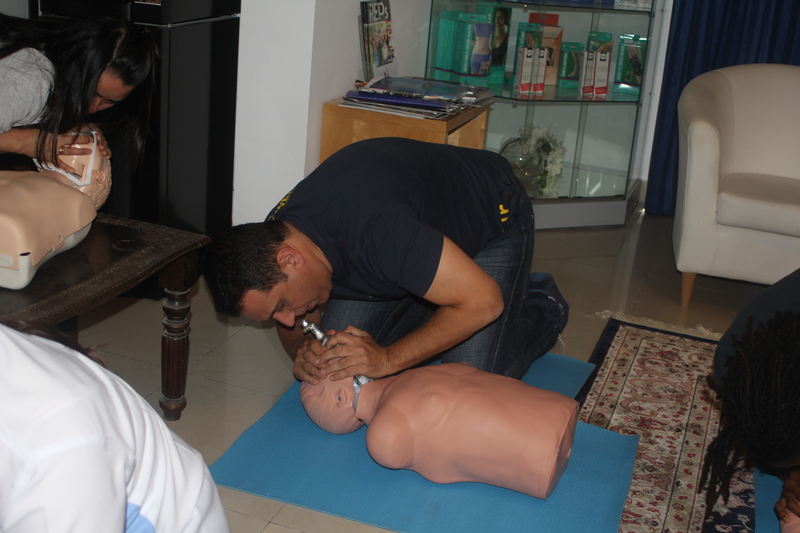 In October 2014, all our medical staff received their certification for first aid. 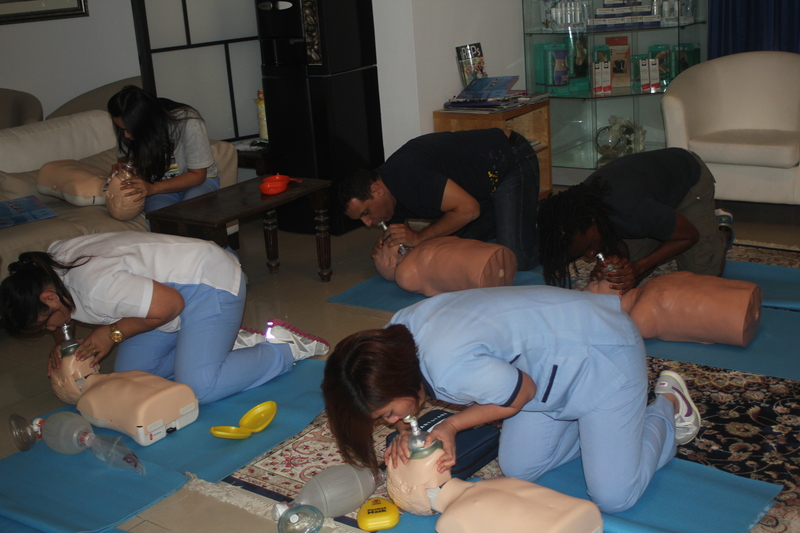 Here’s a few pictures of the team. 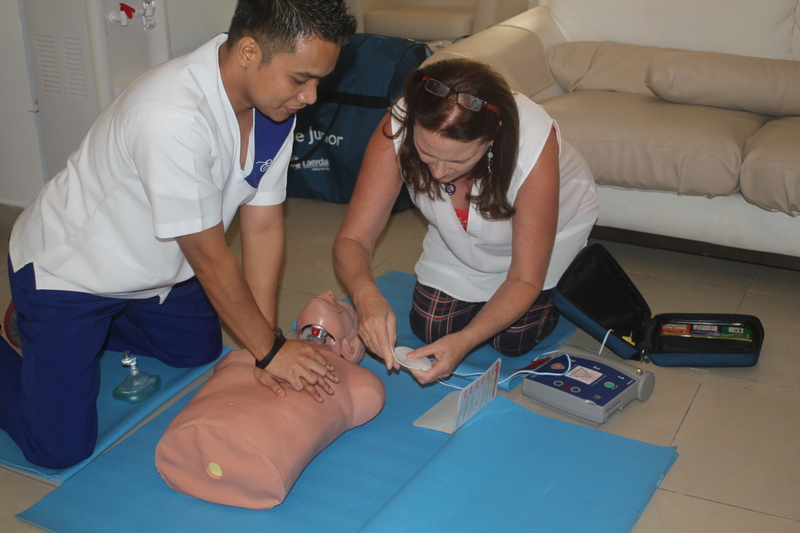 Dr. Pamela Leader and our nurse, Aldreich, working together to perfect their skills.